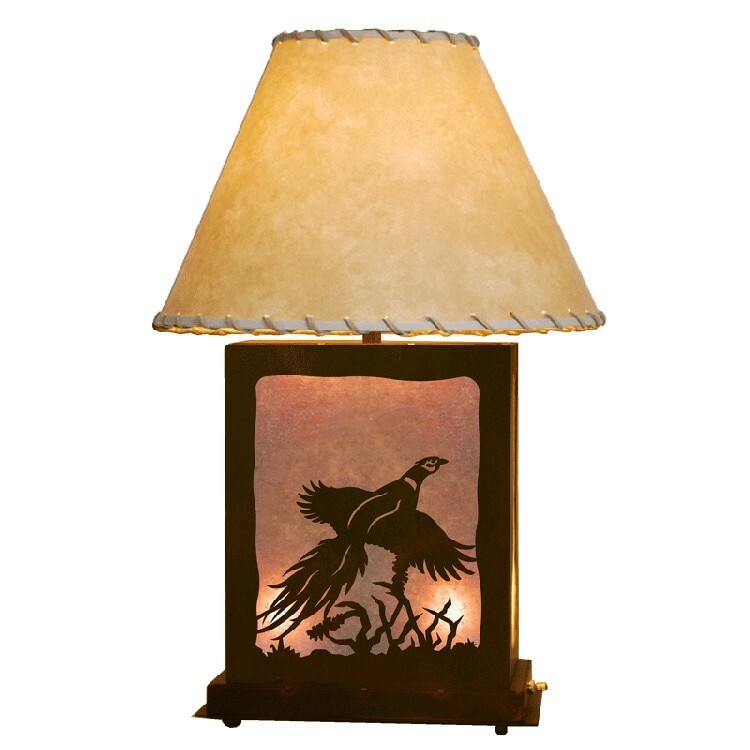 The Scenic Pheasant Table Lamp features a pheasant in fight above the tall grass. 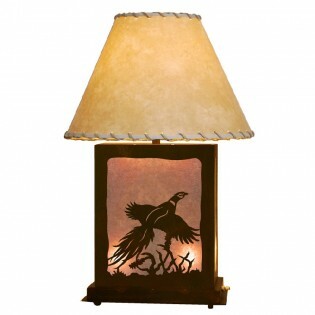 The Scenic Pheasant Table Lamp features a pheasant in fight above the tall grass. The rust patina base features white mica behind the skillfully crafted metal cutout. The base also features a nightlight that provides ambiance. Laced Parchment shade is included.